New Evidences: Acidity Theory of Atherosclerosis: Is it LDL cholesterol unquestionably and unequivocally a causal risk factor for myocardial infarction? Is it LDL cholesterol unquestionably and unequivocally a causal risk factor for myocardial infarction? “If only it were that simple, then reducing LDL by any means would reduce and even eliminate MI from occurring, and enable people to live longer. However, serum cholesterol levels had been reduced with treatments long before statins were developed, first with corn oil, and then GI surgery and cholestyramine and then there were the statins, including Baycol and Torcetrapib, which reduced LDL and even raised HDL. Baycol and Torcetrapib were very effective as LDL reducing agents, but they were also very effective at killing people, which is why they are no longer on the market. So lowering LDL levels, alone, is not sufficient to reduce the incidence of MI and to enable someone to survive the treatment. The question should be, why are elevated levels of LDL associated with MI? The answer is that LDL is not "bad cholesterol" which is destined to harm blood vessel walls and "clog arteries" as drug company ads incorrectly state. Part of the problem is that LDL gets glycated by glucose, which distorts the lipoprotein sufficiently that it can't bind to the LDL receptor. The glycated LDL molecule then accumulates in the blood and becomes oxidized. It is the oxidized LDL that contributes to the deterioration of the blood vessel wall, not the native (normal) LDL. How do you stop sugar from glycating LDL? Keep blood sugar low through exercise and a low carb diet - 2 rather simple strategies which have never been compared head-to-head to statins in a clinical trial for reducing CHD, perhaps because the outcome would be unappealing to the drug companies that sponsor this research. The other way of looking at LDL and MI is that when LDL becomes oxidized and glycated it becomes ineffective at doing what it's supposed to do, which is to kill bacteria (yes, LDL is a part of the immune system) and to build new cells. In response to the increasing concentration of oxidized (ineffective) LDL, the liver makes more LDL, thereby raising the concentration of total serum LDL. This is actually why total LDL levels can correlate with MI incidence, but it's actually the synergy between high sugar diets and oxidized LDL (and high blood pressure) which causes to damage to artery walls. So, it's not that LDL is inherently atherogenic. The LDL molecule is an essential part of optimal health, serving to work with white blood cells to kill pathogens and to rebuild damaged tissue. 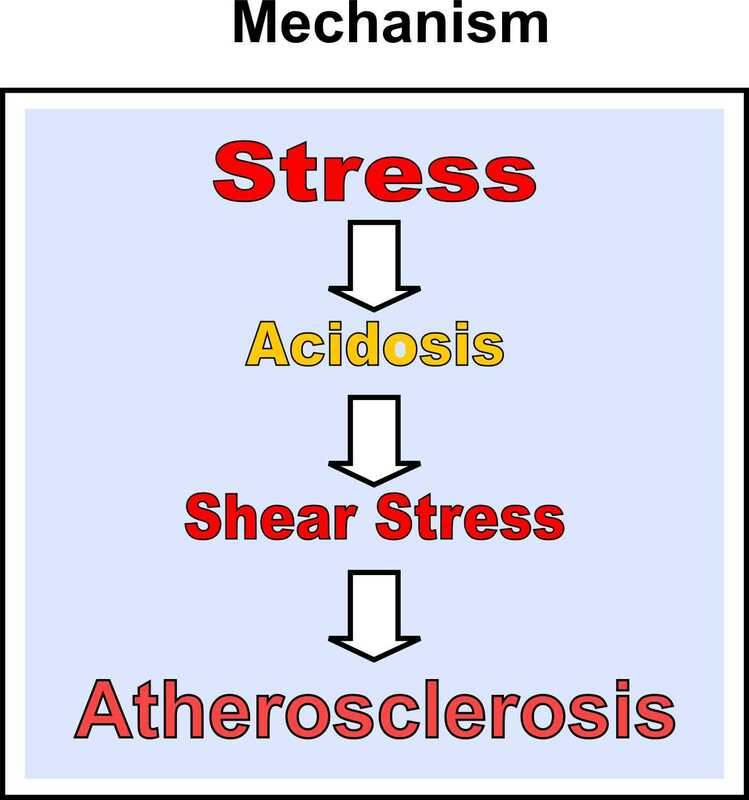 It is the oxidization of LDL, which is precipitated by stress, smoking, lack of exercise and a high sugar diet, that is atherogenic. The literature on this work is vast, but I cite at the end of this little article some papers showing that ox-LDL levels are a much better indicator of CHD than native LDL (1, 2, 3). In the acidity theory of atherosclerosis we support a link between LDL oxidation and acidic pH presenting different studies showing this relationship (1).